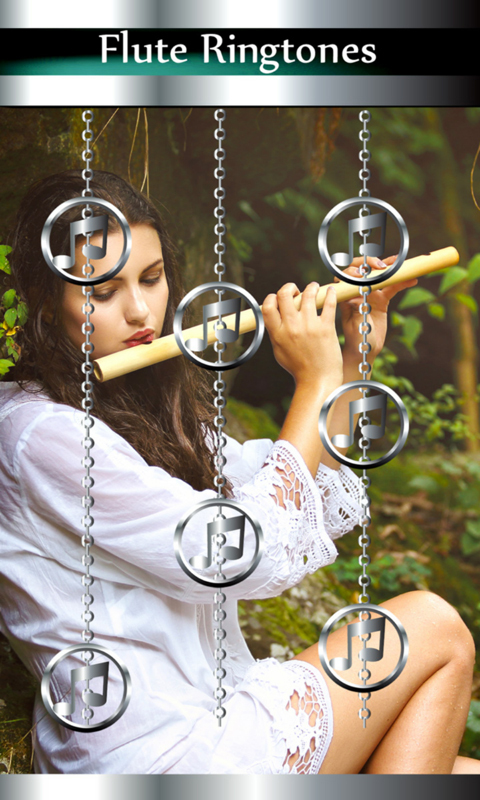 Relax with peaceful flute melodies and find your inner peace. If you love listening to classical music, then you will surely love our new application! 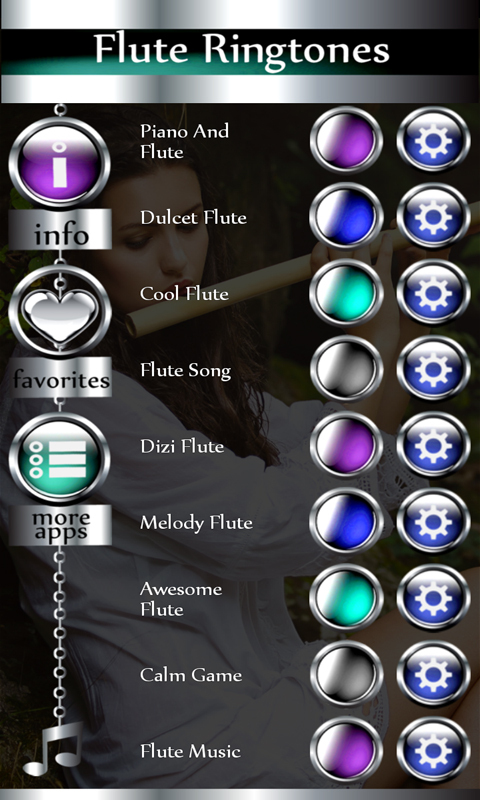 Now you can personalize your device and you can set soothing sound of piano and flute as your ringtone. They will bring serenity and calmness to your life and you will feel as if you have gone to a different place where there are no worries or troubles. 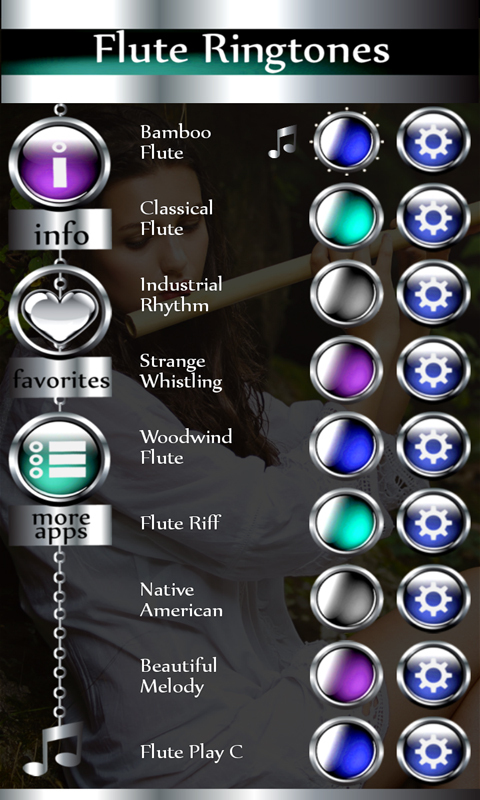 All you have to do to access these beautiful tunes is to download top Flute Ringtones app on your smartphone or tablet, totally free of charge! 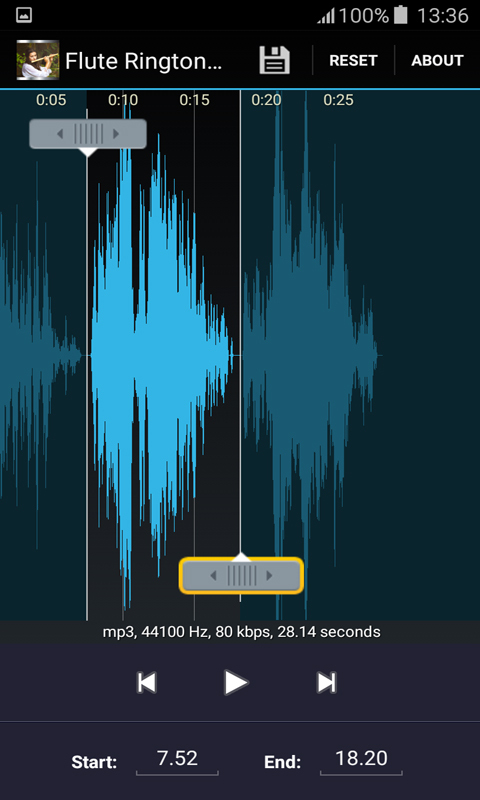 You won’t need more than a minute for that and with only few swipes you can enrich your device with the coolest sounds. Listen to the tune of old song and enjoy. It will seem as if you are on a concert, because this high quality melody sounds so realistic. One more sound that you can use on your phone is Chinese Flute. You can change your ringtone every day if you like and you can also assign different tone for each of your contacts.